In April 2017, more than 1,600 Palestinian political prisoners went on a hunger strike. As I write this article, strikers have refused food and have been drinking only salt water for the last 31 days. They are protesting being held without charge or trial, medical negligence, poor treatment and the lack of family visits. The strikers are putting their bodies at risk to nonviolently protest their treatment; many are experiencing severe fatigue, malnutrition and dizziness. Throughout Palestine, people are rising up in support of the hunger strike. Nonviolent resistance to the policies of occupation are not new. When I lived and worked in Palestine with Mennonite Central Committee, part of my job was to accompany and support the nonviolent resistance. Every week, activists would protest against the separation barrier in various villages around the West Bank, and every week those same activists were faced with violent repression from the Israeli military, who used tear gas, sound bombs, rubber-coated-steel bullets, live ammunition and beatings by soldiers. Martin Luther King Jr. wrote that nonviolent resistance takes “suffering, struggle and sacrifice.” Every day I see both Palestinian and Israeli activists live out these three pillars, facing not only imprisonment and death threats but the loss of their very lives. It is this nonviolence that is supported in the 2016 Mennonite Church Canada Resolution on Palestine and Israel. Yet, while we expect Palestinians and Israelis to take a nonviolent approach to the struggle, I wonder, are we, as Mennonites, willing to do the same? Are we willing to be called names? Are we willing to lose funding and donations? Are we willing to be isolated within various communities? Are we willing to be denied entry and lose access to space? One has to admit that these are still very small risks compared to what Palestinians face. But it is hardly ethical to place that expectation on others and not place it on ourselves first. So I offer this challenge: Are you willing to take the risk and be nonviolent? Ending the colonization of all Arab lands and dismantling the wall. Implementation of “right of return” for Palestinian refugees. 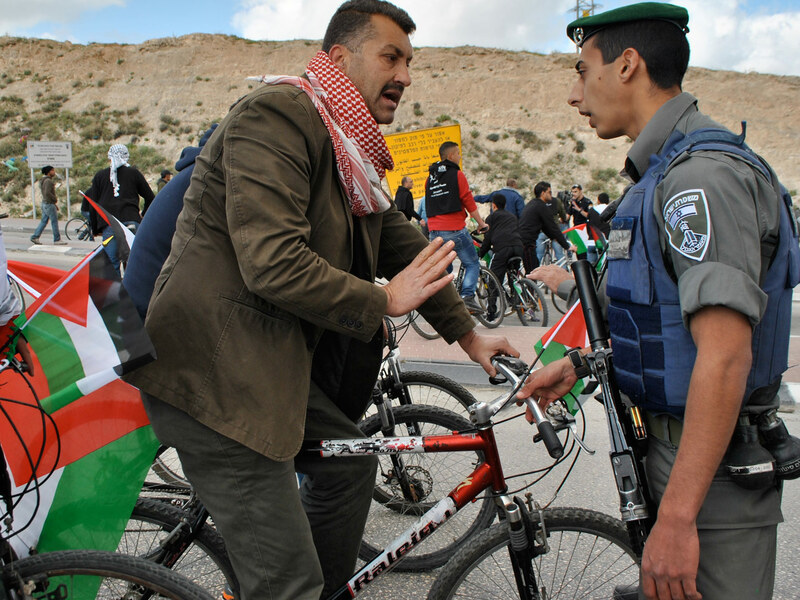 Ending the racial discrimination against Palestinian citizens of Israel. 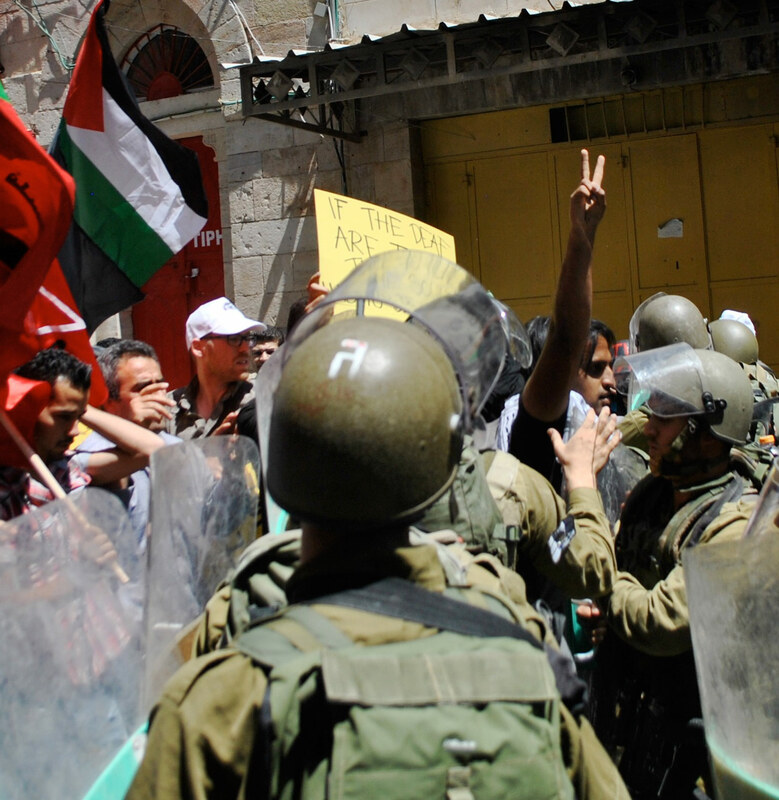 The framework and narrative for nonviolent resistance has already been created by Palestinian activists who know the path towards liberation. The question remains: Are Mennonites willing to join? Rachelle Friesen is the Canada coordinator for Christian Peacemaker Teams. Previously, she lived and worked in Palestine with Mennonite Central Committee as the Peace Program coordinator. She holds an MA in social and political thought from York University, Toronto.